But can a technocratic and liberal approach to government redress the problems Ethiopia faces? The country is almost a victim of its own successes. Some urban sectors are modernising so fast that peri-urbanand rural life is being marginalised and lands seized. Even Ahmed’s own Oromo people have protested about this urban expansion. 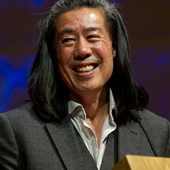 Stephen Chan does not work for, consult, own shares in or receive funding from any company or organisation that would benefit from this article, and has disclosed no relevant affiliations beyond their academic appointment.